The 10th annual James K. Knowles Lectures and Caltech Solid Mechanics Symposium will be held on Monday, May 17, 2019, in the Jim & Sandy Hall Auditorium in Gates•Thomas. The James K. Knowles Lectures will feature four speakers followed by the Solid Mechanics Symposium with presentations by current Caltech graduate students and postdocs. The Lectures and Symposium are in memory of James K. Knowles, William J. Keenan, Jr. Professor of Applied Mechanics, Emeritus, who passed away on November 1, 2009. He is well known for his research contributions to the theory of nonlinear elasticity and the mathematical theories of materials and structures. 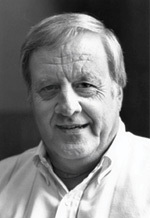 Dr. Knowles inspired and influenced generations of students and scholars and authored over one hundred journal publications, as well as a textbook for graduate students entitled Linear Vector Spaces and Cartesian Tensors (Oxford University Press). The Lectures and Symposium will be held annually and are made possible by the Division of Engineering and Applied Science and the support of family, friends and colleagues through donations to the James K. Knowles Memorial Fund. Nanomaterials, including various types of nanoparticles, nanowires, nanofibers, nanotubes, and atomically thin plates and sheets have emerged as candidates as building blocks for the next generation electronics, microchips, composites, barrier coatings, energy harvesting and conversion systems, biosensors, and nanomedicine. There is now an urgent societal need to understand the biological interactions and environmental impact of nanomaterials which are being produced and released into the environment by nearly a million tons per year, as well as to explore applications of nanomedicine to treat cancer and other diseases. This talk aims to discuss mechanics as an enabling tool in this emerging field of study. The discussions will touch on some of the recent experimental, modelling and simulation studies on cell uptake pathways of nanaomaterials with different geometrical (e.g., size, shape, orientation), mechanical (e.g., stiffness) and chemical (e.g., surface functionalization) properties of nanomaterials; cellular and Intracellular packaging of nanomaterials and cytotoxicity; and toxicity and damage mechanisms of nanomaterials to cells and membranes. Professor Gao’s research is focused on the understanding of basic principles that control mechanical properties and behaviors of materials in both engineering and biological systems. 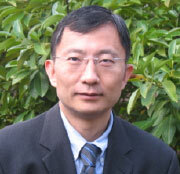 He has been elected to National Academy of Engineering, German National Academy of Sciences and Chinese Academy of Sciences. He is the Editor-in-Chief of Journal of the Mechanics and Physics of Solids, the leading journal of his field. He has received numerous academic honors, from a John Simon Guggenheim Fellowship in 1995 to recent honors including the Rodney Hill Prize in Solid Mechanics from the International Union of Theoretical and Applied Mechanics in 2012, Prager Medal from Society of Engineering Science in 2015, Nadai Medal from American Society of Mechanical Engineers in 2015 and Theodor von Karman Medal from American Society of Civil Engineers in 2017.